don’t ask me why I have TLC’s Waterfalls in my head. I can’t remember the last time I heard it, and it isn’t on my playlists so who knows?! 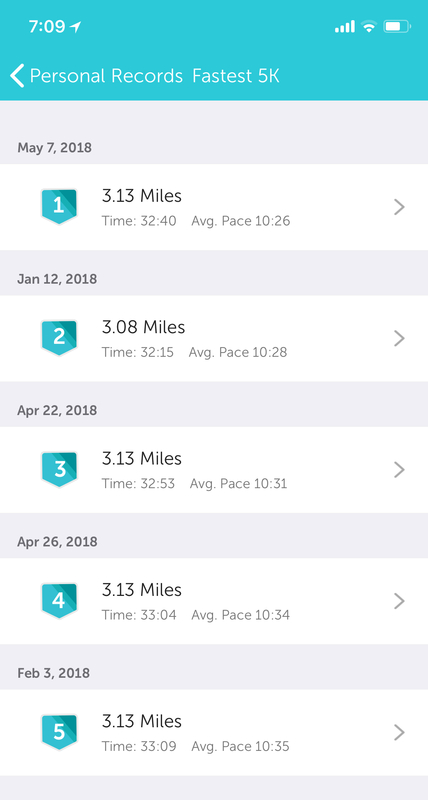 This is a two week recap due to travel but before I get to the nitty gritty, I GOT MY 5K PR! (Yes, all caps and bold very much needed 🙂 ) Part of a crazy week of cramming runs between conference sessions. More on that later. The Brooklyn Half is five days away. EEK! I’m not as ready as I wanted to be, but I’m more ready than I was for Lebow, so I think it will be OK. So far forecast looks cool and rainy. Not ideal for post-race beach day, but better than what I feared when we had 80s two weeks ago. I’m simultaneously looking forward to it, glad to be dropping down to shorter distances for June and looking for another half, so go figure on all of that. Theme of both weeks? Cramming. Way too much going on and I knew when I signed up for both a conference and the Brooklyn Half at the end of January that it wasn’t ideal, but I’d figure it out. Monday, I wasn’t sure how my legs were going to feel after Saturday so plan was warmup, and row. They felt good and I went with 5.6, 5.7, back to 5.6 and then my now-standard 6.2 closeout for 2.03 total. Tuesday, Carl Schurz Park/John Finley Walk I love/hate you. Great to have something so close, even if chopped up but going back at least a year, my times here such. I’m not sure if it’s due to the terrain, elevation or what but even pre construction it has never been great. But I only had a quick window available so I took advantage of it for another 2.03. Friday was a nice post-flight shakeout for 2.03 miles (5.7 for 1.88, then 6.2 close). I’m so glad the fitness center at the hotel was so well-equipped as it was way too hot to even contemplate running outdoors. Some folks managed morning runs, but I couldn’t get a good loop map, so opted to stay indoors. Saturday, not a run and didn’t even hit my step goal thanks to a 7 hour RT bus ride, but nothing better than Mother Nature at her finest. Grand Canyon was pure magic. More on that and the conference in another post. Low mileage week overall, but it was what I needed and I ran where I could. I was OK with this. Monday, PR day! I didn’t break 32, but I realized when I loaded the run into Runkeeper that 32:15 was for 3.08 and not 3.13 so PR! I decided to try to see if I could do 5.7 all the way through and if that was enough to get me a PR. 5.7 felt good and I had a large water bottle which was enough to keep me from having to pause to refill. Surprisingly I had enough in the tank at 2.88 to gut out 6.2 for the last quarter mile and I have a new PR. So I’m further from breaking 32, but I’m still going to make that happen. Recent speeds and the incremental progress to Monday make me think that could happen in June, but I’m just not sure enough how treadmill speeds will translate outdoors so we’ll see? But in the mean time, I’m happy. Wednesday. Cram in a short run before the day’s sessions because I wasn’t sure I’d have shower access after field trips in the afternoon since I’d have already checked out of my room. This was a good move as not only did I not have shower access, but I doubled up on field trips and didn’t have a window for a run before heading to the redeye. Friday, ugh. I realized my weekend long runs would be rained out (at mom’s, no gym access) so decided to keep on with the theme of the prior two weeks and squeeze a run in an available window. It wasn’t the run I wanted, but it would have to do. Sunday, hotel gym had only one treadmill and it is still manual. So elliptical and a walk again for the sake of steps. Stir crazy! 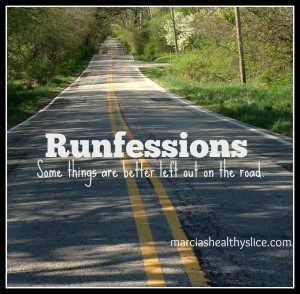 Am I going to regret the lack of any long runs the last two weeks? I’m not sure. But plan for this week is running today and tomorrow, or today and Wednesday and then off Thursday, Friday ahead of the Half. Here’s to a good run. 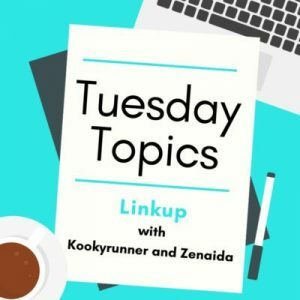 Glad you are loving the linkup!! Congrats on your 5k PR! What are your goals for the Brooklyn half? I have a half this weekend too. My goals have changed since my bike crash. Boo! Good luck with your Half? Hope the knee isn’t too much of a nuisance! The course is all new to me, so I’m not sure what’s realistic. I’d love to break 2:30 and think I can, but just not sure. Plan is to hang with those pacers, which I did for the first ~5 miles in January before the hills killed me. I’d also like not to walk other than water stations, which I think might be doable. Wow – good running. Tell me what was running in dry heat like – I’ve never done that! And good luck in your prep for the half. SLEEP! Well done on cramming so much in with everything going on! Best of luck for your Half Marathon. I see from one of your comments that you want to break 2:30 – sending you lots of positive vibes, have a GREAT run! Thanks! 2:41 is my PR, so it might be doable. That’s so cool! 2:41 is the PR I just set on Sunday for my Half! woohoo! Must have missed your latest update. I wanted to go down from there for Feb (flatter course), but I didn’t account for humid. The course & weather for this one should be better. Oh yeah, meant to say, I got my half PR down from 2:42 to 2:30:30 (grrrr) so it’s definitely doable. I picked up the wristbands for 2:30, 2:35 and 2:40. The latter in case it all goes to pot, but I don’t think it will. I really think 2:35 might be doable. Plan is to get through the hill with the pacers and then reassess. Hopefully. I haven’t done a lot of running either the last two weeks, but my chiropractor said it’s actually better to get more rest than try to run so much in taper. I’ll find out for sure this weekend. Good luck with your race! 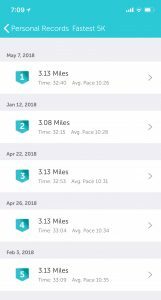 I had some weird taper stuff going on in April too with the Cherry Blossom 10 miler once I decided to use that as a training run for this vs. training specifically for that. I think/hope it’s going to work for me. Same. Current forecast is ~62 and rainy. I can deal with that. Yesterday was dangerous storms with a tornado not far north, today was just March rain. Just glad it won’t be too hot, this week here can go either way. Thank you! Congrats on your 5k PR! I commend you for getting in any runs while traveling! I think rest and lower mileage just before a half marathon will serve you well. You may just surprise yourself this weekend! Oh, and I’m definitely singing the song… Thanks for linking!